Whether you want to devote a few minutes or a full month to decorating your home for the Christmas season, options abound for making your home festive. Tis the season to be jolly, yet why are the holidays the most stressful time of year? The Christmas season should be a joyous occasion spent with loved ones, but by the time the actual day rolls around, most of us are exhausted from all the preparations that we barely have enough energy to give to family and friends. Is it possible to create a warm holiday atmosphere in your home without breaking the bank or your spirit? Jeffrey Evans, who has been in the interior design business for 22 years in Tulsa believes it takes two things to make your home ready for the holidays: simplicity and abundance. “Abundance to me means the openness to hospitality,” says Evans, who styles luxury and everyday homes for the holidays and throughout the year. You don’t have to spend a lot of time or money to make your home ready for holiday guests. With these simple and affordable decorating ideas, anyone can deck the halls and keep their holiday joyful. In many homes, the Christmas tree is the centerpiece of holiday decorating and is the easiest way to add holiday cheer to your home. Whether you choose a real or fake tree adorned with expensive or cheap plastic ornaments, there are a few simple tips to create a beautiful tree for any home décor. Evans starts by winding plastic or metal garland from the top in a big swirl to the base. Next, using the biggest plain ornaments, fill the inside of the tree to add depth. Personal favorite ornaments should be grouped in nine, 12, or more, just inside the tips of the tree. Last, the fun, novelty ornaments should adorn the tips of the tree. “Homemade ornaments become treasures when they are made by your own family,” says Evans. Adding these novelty and holiday ornaments to the tips of the trees highlights family occasions and fond memories. In addition to decorating the tree, wrapping presents early and placing them under the tree is a simple way to usher in the Christmas season. Last-minute shopper and no presents to wrap early in the season? Try wrapping empty boxes of varying sizes to create that festive feel and anticipation of Christmas. Nothing welcomes your holiday guests like a Christmas wreath on the door. If your holiday wreaths are outdated or lacking luster, give them a spruce-up by adding inexpensive ball ornaments and fresh ribbons. You can add a simple welcoming plaque or wooden sign like “Joy,” or “Peace,” and set the mood for your guests before they even walk through the door. Wreaths can be used inside your home as well as outside, so don’t limit them to just the front door. Try regrouping your existing home décor and adding a splash of Christmas to your mantle and centerpiece. Evans loves clustering glass cylinder vases filled with ornaments, pine cones, candles, even Christmas cards. Many people have an abundance of old vases hidden in a cabinet, but if not, try Goodwill. “It’s my secret go-to for vases on the cheap,” says Evans. 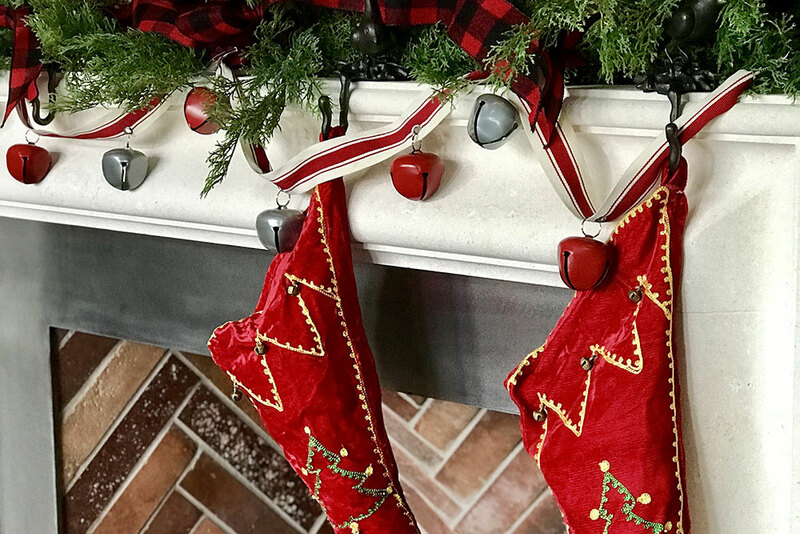 You can create a warm, welcoming atmosphere by adding stockings to the mantle, and don’t limit it to your immediate family. Consider adding a stocking for your pets and guests with a token gift inside. “Add lights and some garland to the mantle and you are golden,” says Evans. Oversized blow-up Santas and snowmen can add a bit of cartoon fun to your lawn. Inflatables can run as large as 6 feet tall and 10 feet wide, so they offer lots of bang for your buck. They also aren’t limited to typical holiday fare; a variety of characters are available from Minions to Snoopy to Teenage Mutant Ninja Turtles and Star Wars. Holiday decorating doesn’t need to be stressful, expensive or overdone. The simplicity of bowls filled with candy, thick garland on the stairway, Christmas candles scattered in clusters throughout the house, and a Christmas tree packed with ornaments creates an abundant atmosphere where memories can be made with family and friends. And isn’t that what the holiday season is all about? Twinkling Christmas lights can be beautiful, but they can be dangerous. Be sure to take the proper precautions when lighting up your home. Do buy lights, electric decorations and extension cords that are UL-listed. UL is the abbreviation for Underwriters Laboratories, a not-for-profit organization that tests and rates electrical products for consumer safety. Do not use indoor lights outside. They have thinner insulation, which can be damaged outdoors and cause a fire or an electric shock. Do choose epoxy-lensed LED lights, which remain cool to the touch and are more durable than glass bulbs. Always unplug lights before changing bulbs, replacing fuses or making other repairs. 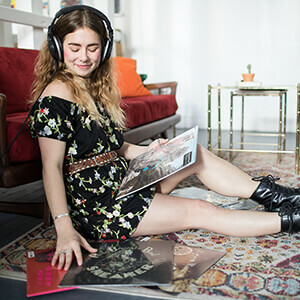 Always check light strands for cracked cords, frayed ends or loose connections before hanging. Do use only the wattage bulbs specified by the manufacturer. Do not overload extension cords. Every extension cord carries a wattage rating that outlines the amount of electricity it is built to carry. Lights and decorations also should list power requirements. Be sure your decorations don’t exceed the extension cord’s rating. Overloading can cause overheating and fire. Do elevate the plugs and connectors with a brick to keep water and debris out of the connections when running extension cords along the ground. Never attach multiple extension cords together. Instead, invest in a longer extension cord. Do check electrical cords to ensure they are not running across doorways or under carpets where they can get damaged. Tape down any ground-level extension cords to prevent people from tripping. Never string together more than three sets of incandescent lights. This will avoid overheating. Do use insulated hooks to hang lights. Tacks, nails and screws can pierce the cable and become electrified. Lighting clips or adhesive hooks make installation of string lights easy and are designed to work without poking holes in your roofing or trim. The clips grab the light sockets, so you can position the bulbs upright, hanging down or horizontally. Choose clips based on the size of the bulbs being used. Don’t use metal ladders. Instead, use ladders made of nonconductive materials such as wood or plastic. Do unplug lights if anything feels hot. It’s nearly impossible to pick only 20 of the best singers, songwriters and musicians in Oklahoma’s history. But we gave it our best shot. Let the debates begin. 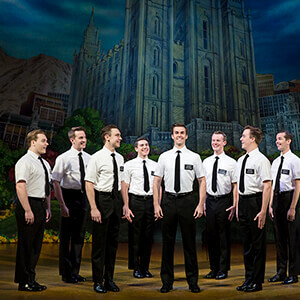 "The Book of Mormon" is a caricatured contrast between well-intentioned and gloriously naive first worlders confronting a cartoon of the Third World from the minds of "South Park" creators. 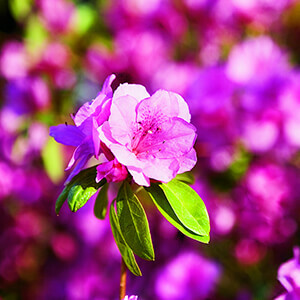 Honor Heights Park really shines in the spring when colors burst forth and vibrantly paint the area thanks in large part to the 30,000 blooming flowers that are a part of the Azalea Festival. Getting hitched means making a hundred decisions on everything from flowers to photos. We can help out with at least 27 of them.